Boston Bombings Suspect To Appear In Survivor-Packed Court : The Two-Way Dzhokhar Tsarnaev will be appearing in public for the first time since he was captured on April 19. He's due to be arraigned Wednesday afternoon in a Boston courtroom. When the young man who stands accused in the Boston Marathon bombings makes his first court appearance Wednesday afternoon, survivors of the explosions that killed three people and wounded more than 260 are expected to be in the room, The Associated Press reports. So are relatives of those killed and wounded. "The [Boston] courthouse is expected to be jammed for 19-year-old Dzhokhar Tsarnaev's appearance. A spokeswoman for the U.S. Attorney's office said space is being reserved in the main courtroom for victims' families, but she wouldn't indicate how many planned to attend. Court officials have set aside an overflow courtroom to broadcast the court hearing for the media." Tsarnaev hasn't been seen since the evening of April 19, when he was captured in the Boston suburb of Watertown after an intensive manhunt. He had suffered some gunshot wounds and has been held in a federal prison hospital. On the court's website, it says his arraignment is scheduled for 3:30 p.m. ET. We'll watch for news from the proceeding and update. Authorities say Tsarnaev and his 26-year-old brother, Tamerlan, who died of injuries suffered during a gun battle with police earlier on April 19, set the bombs that exploded near the marathon's finish line four days before. The three people killed were 8-year-old Martin Richard of Dorchester, Mass., 29-year-old Krystle Campbell of Medford, Mass., and 23-year-old Lu Lingzi of China, a student at Boston University. The brothers are also the lone suspects in the shooting death of MIT police officer Sean Collier, 26, on April 18. They also carjacked an SUV that evening, authorities say. So far, Dzhokhar Tsarnaev has been charged with using a weapon of mass destruction and a series of other charges, including "bombing of a place of public use." Ethnic Chechens, the brothers allegedly became radicalized in recent years. Authorities say they found messages that they believe Dzhokhar Tsarnaev wrote in which he indicated that they were trying to avenge the deaths of other Muslims during the wars in Afghanistan and Iraq. The brothers were young boys when they were brought to the U.S. by their parents. 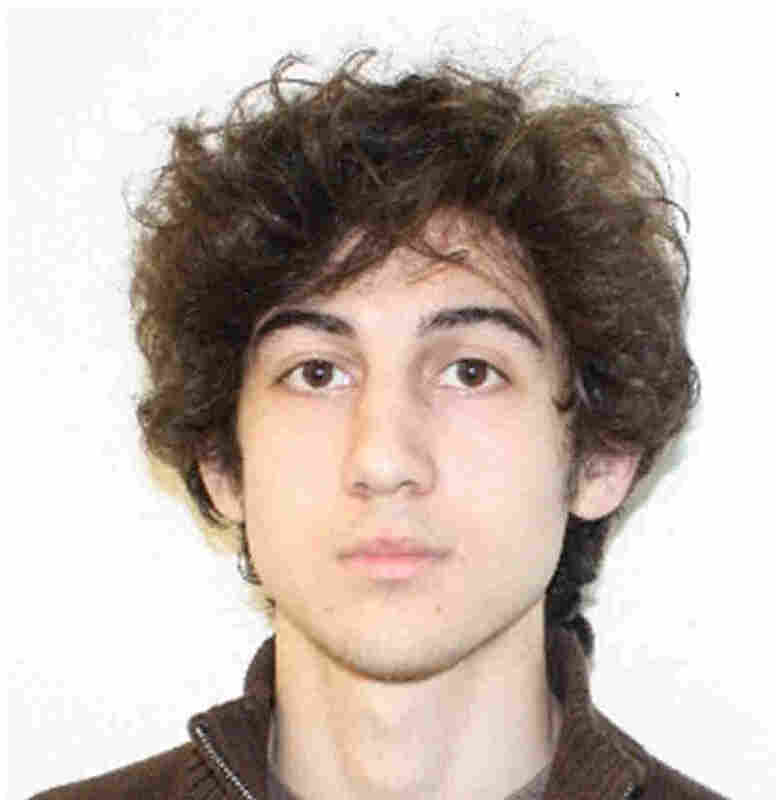 Dzhokhar Tsarnaev became a U.S. citizen in 2012. Tamerlan Tsarnaev was a legal resident of the U.S.
Related — Boston Bombings: A Guide To Who's Who.